I live in Houston where my neighbors and I used to refer to Las Alamedas as our “neighborhood restaurant”. Back in early 2009, when it closed, we were disappointed by the loss of our nearest and favorite Mexican restaurant. George Sneider and his son Alex had provided us with an excellent Mexico City-style restaurant for family dining and a popular after-work meeting place. It went away (not due to lack of business, but due to landlord disagreements)… and while I was whining about it, Alex was quietly working on a new restaurant called Las Ventanas (windows). And windows it has! Actually, when I see the vast vistas in the restaurant and smell the aromas of the Mexican food, it reminds me of many homes in Mexico where the families have their windows open to the streets to entice their friends and neighbors with the aroma of the traditional family meals being prepared inside. The tree-covered patio is the perfect place for dining on a Spring evening. Las Ventanas is warm and comfortable and unlike many restaurants in Houston with patios… I LOVE this tree-covered patio… especially at night. The restaurant’s décor is casual yet elegant enough in a Mexican homey way to feel special for an important occasion in the evening. I was attracted to a slightly raised nook with a table for six that’s sort of a “captain’s table” adorned with impressive Talavera pottery pieces… perfect for business entertaining or a family evening. As a travel/food writer specializing in Mexico regional cuisines, I seek out those authentic influences in dishes and I found the Ceviche Acapulco to be a perfect example as an appetizer. Red Snapper with shrimp, lump crab meat, olives, and capers, all marinated in lime and cilantro was excellent. While it was typical of some restaurants on the public beach in Acapulco, the olives reminded me of Veracruz. True to my Tex-Mex roots, as a fourth-generation Houstonian, I never go to a Mexican restaurant without sampling the “poppers” (Jalapeños Rellenos) and these ranked among the best with fresh jalapeños filled with shrimp, queso fresco and cream cheese, deep fried and served with a cilantro ranch sauce. While there may be a touch of Tex-Mex here, this restaurant celebrates Mexico and its culinary diversity… NOT its merging with the cuisines of Texas and the southwest. Some house specialties are made for sharing and the quantities are huge, such as the Parrillada las Ventanas (for two). Served with its own stainless steel warmer at the table, this combination of grilled meats includes Spanish chorizo, marinated chicken breast, 4 jumbo shrimp and beef tenderloin all seasoned with grilled poblano peppers and onions. The aroma as it’s carried through the restaurant to a table gets orders for it from those diners in its path. For a family style visual treat, I recommend the Paella las Ventanas. This medley of shrimp, clams, mussels, Spanish chorizo, pork and chicken is all cooked and served with saffron rice. All of the items you would expect to find here are available, from Carne Asada to filets and Huachinango Veracruz (fresh snapper Veracruz-style). For me, the seafood and grilled entrees are destination items here. But sometimes, you want what you want and family-style isn’t your thing that day. A good choice at Las Ventanas might be the Jumbo Sea Scallops. Seeing a dish overcome its riskiness and delight with its perfection is what happens with this dish. Taking huge sea scallops which must be tender and “medium” and wrapping them with Serrano peppers and bacon which must be “done” is the challenge met successfully here. Placed, juicy and sweetly-caramelized around a cone of sautéed spinach and drizzled with a creamy Lobster Tequila Sauce, this is an entrée that you owe at least one taste of to your dining partner. Pescado al Mango is a delicate sautéed presentation of Mahi Mahi (Dorado) nestled on a rice cake then complimented with the sweetness of a Dry Vermouth Mango Habanero sauce. Mahi Mahi benefits from this sweet sauce with the slight presence of smoky habanero to help you remember fondly that last bite. We polished off the meal with two desserts that were coupled perfectly with an obligatory cup of cappuccino. Houstonians are no strangers to Tres Leches cake and Las Ventanas’ is as good… creamy… moist as any I have had in Houston. It’s the cake that you eat and drink at the same time. This one is light and soaked with their signature milk cream, topped with whipped cream icing and drizzled with Las Ventanas’ own house-made chocolate syrup. Speaking of chocolate, some must have chocolate cake for dessert. This one is so rich that they have to use the word “chocolate” twice in its name. It’s not still in my neighborhood, but worth the short drive. 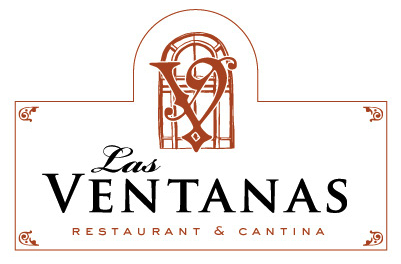 Las Ventanas is located at 14555 Grisby Road, one block east of Highway 6 between I-10 and Memorial Drive.